The Colorado Division of Homeland Security and Emergency Management is pleased to announce the appointment of Electra Theodorides-Bustle as the Chief of Staff. She joins the division on August 15, 2016. Electra Theodorides-Bustle comes to DHSEM with an extensive and diverse career that has included over 15 years of state and local executive, legal, and policy making positions in public safety. Theodorides-Bustle has a Bachelor of Arts degree from the University of Pennsylvania and received her Juris Doctorate from Florida State University, College of Law. Theodorides-Bustle started her public safety career with the Florida Sheriffs Association in 1989, first as a law clerk and later as the Deputy General Counsel. 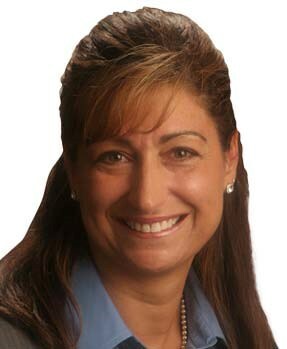 Following FSA, she served as an Assistant General Counsel for the Department of Highway Safety and Motor Vehicles and General Counsel for the Sarasota County Sheriff’s Office and legal counsel to the Commission for Florida Law Enforcement Accreditation and the National Association of Women Law Enforcement Executives. After receiving her certification as a law enforcement officer, she also served as a Captain and Major with the Sarasota Sheriff’s Office. In 2004 she joined the Florida Department of Law Enforcement as the Legislative Affairs Director and later become the Chief of Staff and Assistant Commissioner for the Department overseeing critical areas including administrative services, legislative affairs, sexual predator registry, Capitol Police, criminal justice officer records and discipline, and the State’s criminal history and fingerprint databases In 2007, she was appointed by Florida’s Governor and Cabinet as Executive Director of the Department of Highway Safety and Motor Vehicles, which included the Florida Highway Patrol, the Division of Driver Licensing, and the Division of Motor Vehicles. She is currently a government relations consultant representing criminal justice clients, such as the Florida Sheriffs Association. Theodorides-Bustle has also been active in the community serving on several boards including the Florida Missing Children’s Day Foundation, the Northeast Florida Safety Council and Last Hope Rescue, a Tallahassee based dog rescue. She is married to Dennis Bustle, an almost 40 year law enforcement veteran. They enjoy outdoor activities including hiking, biking and skiing, which makes Colorado a perfect place to make their new home.